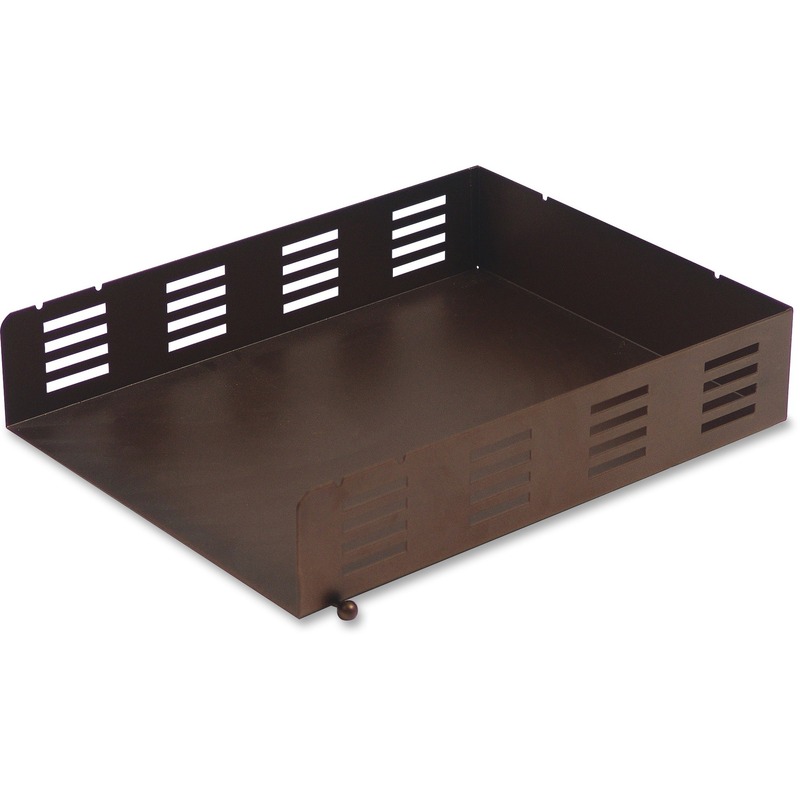 File Sorter offers a unique look with a bronze finish. 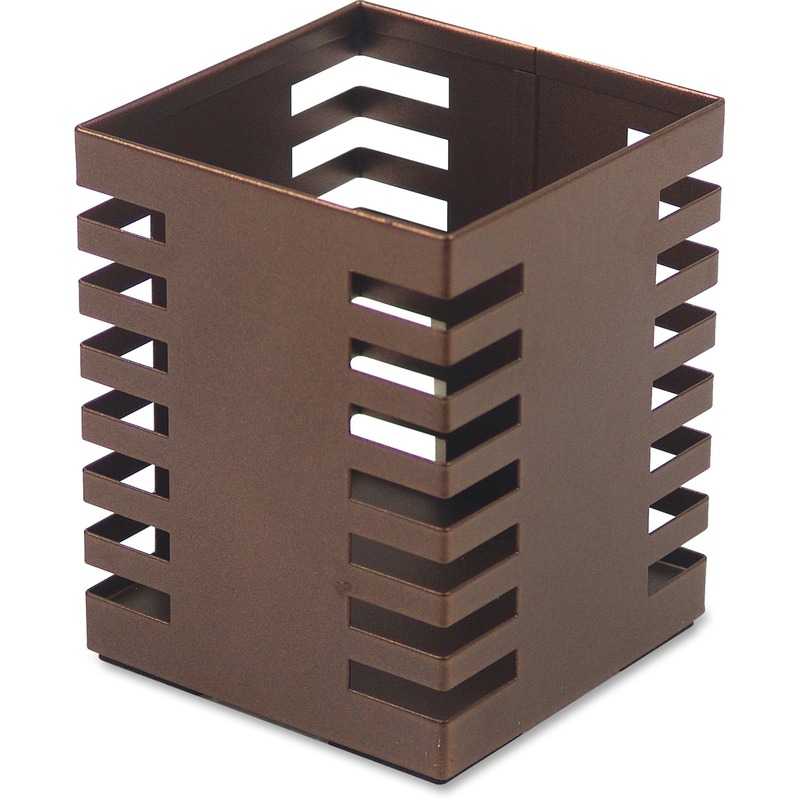 It is made of stamped steel for durability. 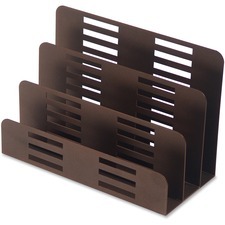 The three slots are sized for pads, small notebooks and file folders. Protective EVA feet prevent surface wear. 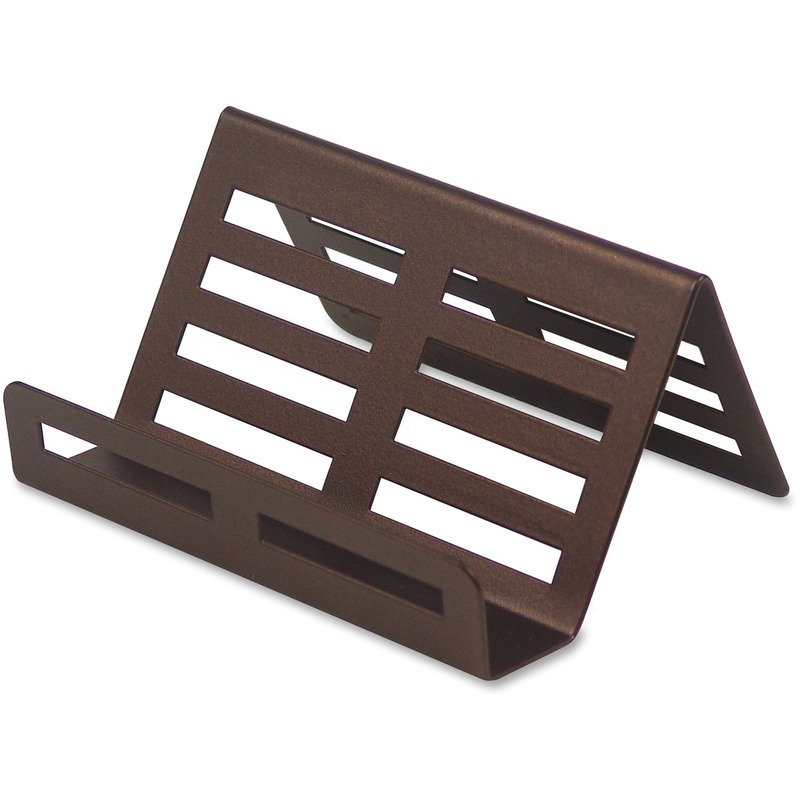 Bronze finish matches Lorell's other desktop essentials made of stamped metal with a bronze finish: Letter Tray, Pencil Cup, Business Card Holder, Memo Holder and Desktop Organizer (all sold separately).